As general and family dentists, Dr. Deborah Romack and Dr. Garrett Mulkey of Cosmetic & Family Dentistry in Weatherford, TX, are delighted to provide quality dental care for children. It should come as no surprise that children are susceptible to the same dental and oral health problems as adults, including tooth decay, gum disease, teeth grinding and clenching and even sleep apnea. We can treat all of these concerning conditions right here in our office. What may be surprising, however, is that our office is the only family dentistry practice in the area that also offers orthodontics, which is a common need for children who are developing bite problems. For orthodontics and children’s dentistry Weatherford can trust, bring your little ones to Cosmetic & Family Dentistry. 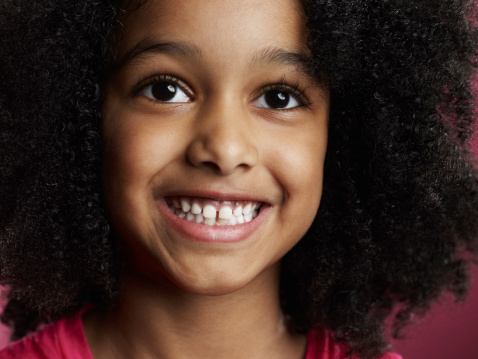 In one regard, children are no different than adults—they need to see the dentist twice each year for dental checkups. With this regularity, our dentists and their team of dental hygienists and assistants can work to prevent dental problems from happening. Aside from the standard exam and cleaning, we may recommend fluoride treatments and dental sealants. Fluoride is a mineral that strengthens enamel, so kids have a better chance in the battle against tooth decay. Dental sealants are applied to second molars, which usually erupt sometime between the ages of 11 and 13, to create a hard, plastic barrier against decay-causing bacteria. If your child needs braces, wouldn’t it be nice if your general dentist was also an orthodontist? Dr. Romack is a member of the International Association of Orthodontics, and she has accumulated more than 500 hours of continuing education in the field. Although some dentists do offer Invisalign (which we have, too), our practice offers traditional orthodontics, including early interceptive functional orthodontics to treat problems early and help children avoid extensive treatment later. If you’d like to make an appointment with the children’s dentist Weatherford, TX, relies on for dentistry and orthodontics, call Cosmetic & Family Dentistry. We also serve patients from the surrounding communities of Brock, Millsap, Springtown, Mineral Wells, and beyond.